--The Angola 3 Coalition office in New Orleans on April 19th (2900 Grand Route St. John at 9pm, as part of a 41 hour vigil). 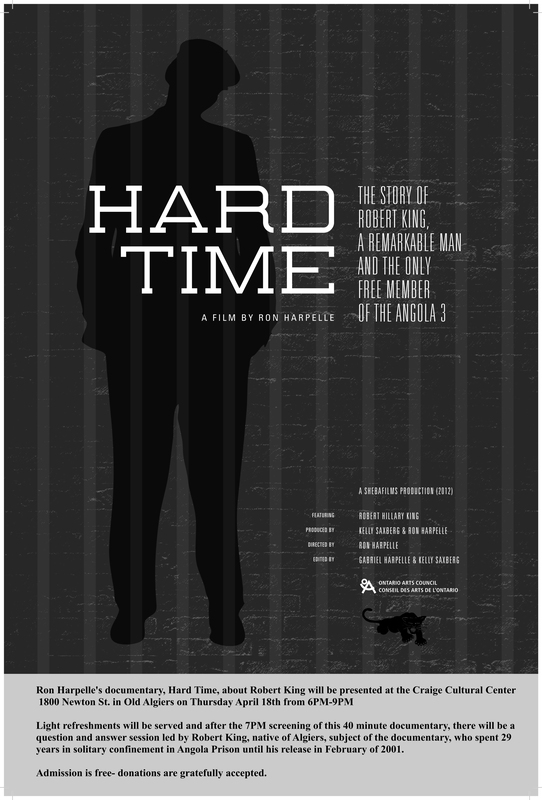 Hard Time is a film about Robert Hillary King, the only one of the Angola 3 to have been released. King was a political prisoner who spent 29 years in solitary confinement in the infamous Louisiana State Penitentiary at Angola. 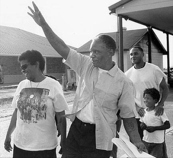 The film focuses on racism and human rights in the U.S. penal system, and draws attention to the plight of Herman Wallace and Albert Woodfox, the other members of the Angola 3, who have been held in solitary confinement for more than 40 years. 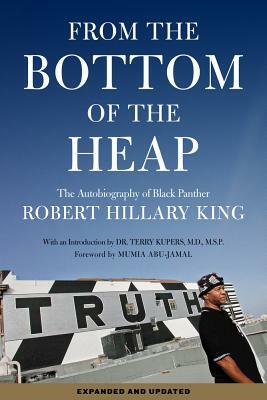 Together they formed a prison chapter of the Black Panther Party to fight for better conditions, security for inmates and justice behind bars.